The Goldbacks train and race on a 3.0 mile course located in Kowawese Unique Area at Plum Point. The course, located off of NY State Route 9W in New Windsor, features a mixture of grass, dirt paths, and asphalt. Spikes can be worn but racing flats are recommended. There are limited restroom facilities in the park. 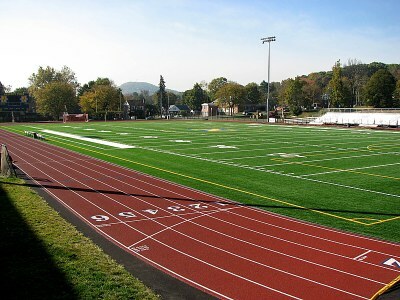 Newburgh Free Academy has a brand new Action Track 400 polyurethane surface with six, 42 inch lanes on both the straightaways and around the track. 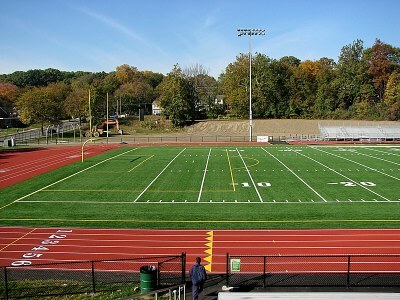 The infield area is comprised of synthetic FieldTurf. 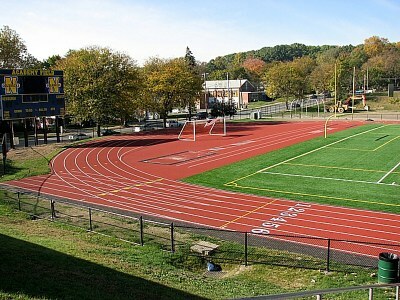 A steeplechase water jump is located on the inside of the track by the long and triple jump areas. Athletes are requested to use 1/4 inch pyramid spikes or smaller. Pin type spikes of any length are not permitted. The horizontal jumping event runways are bi-directional to accommodate various wind conditions. 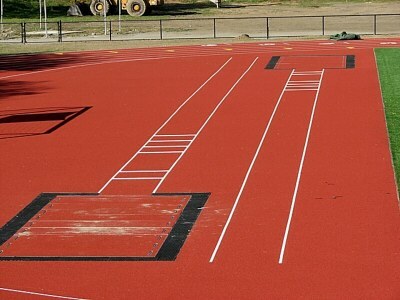 The long jump takeoff boards are set at 8 feet and 12 feet while the triple jumpers can choose from 24, 28, 32, or 36 foot boards. 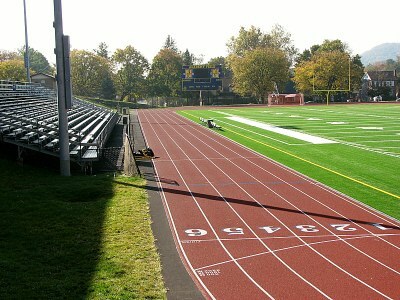 The high jump features a 80 foot fan apron while the pole vault has a maximum approach length of 110 feet. The shot put circle is made of textured concrete and has a grass impact area. 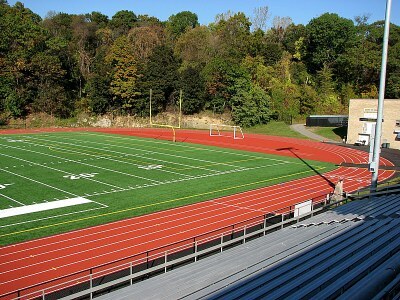 The discus circle has the same composition and has a protective cage surrounding the back 2/3 of the circle.